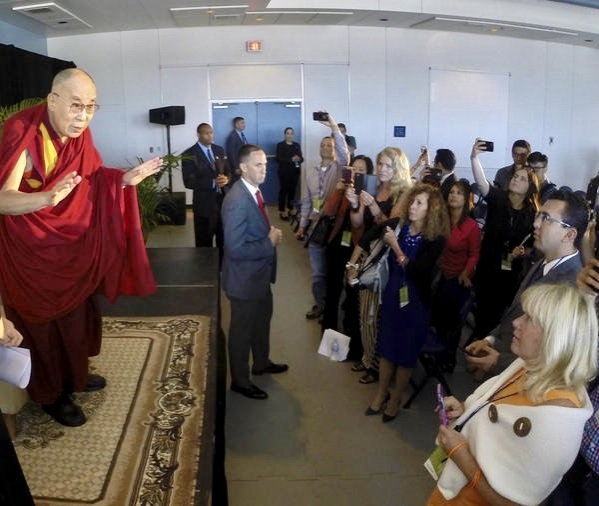 “You have the opportunity to create a better world, a happier world,” said His Holiness, the 81 year old Dalai Lama while addressing the press at UCSD this weekend. 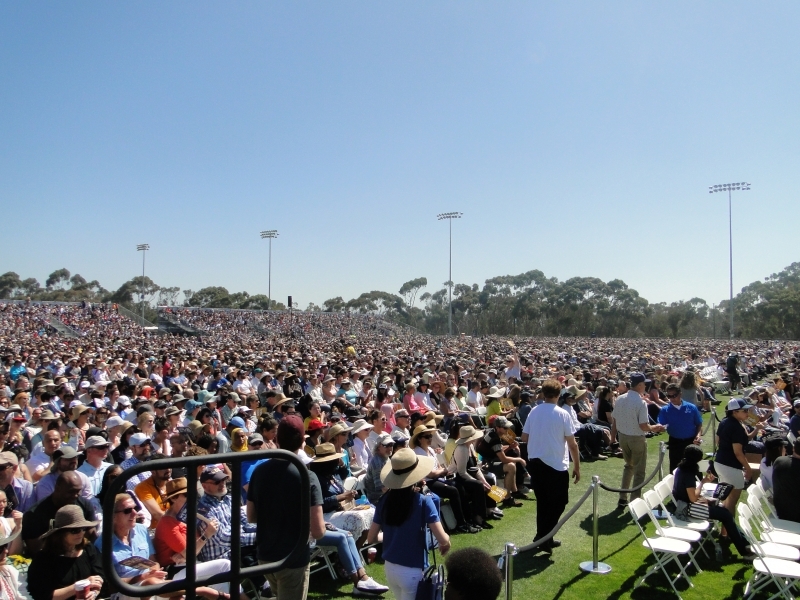 “In order to create a peaceful century, this century must focus on dialogue” he later told 25,000 people gathered on UCSD’s RIMAC field. “The purpose of all our lives is to be happy”. 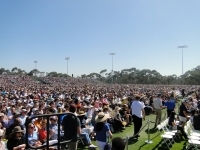 His Holiness, the 14th Dalai Lama’s, begun his US and world tour in San Diego, CA by giving the 2017 commencement speech at UC San Diego on Saturday. The enlightening speech was focused on "The Value of Education, Ethics and Compassion for the Well-Being of Self and Others". The Dalai was introduced by UCSD Chancellor Pradeep Khosla, Mayor Kevin Faulconer and television journalist Ann Curry. He delivered a message about embracing diversity and living lives filled with kindness and compassion. 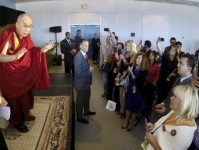 “A man of peace, the Dalai Lama promotes global responsibility and service to humanity. These are the ideals we aim to convey and instill in our students and graduates at UC San Diego” said Chancellor Pradeep Khosla. 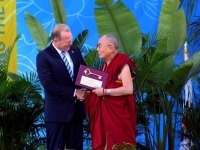 "I had the honor of meeting His Holiness for the first time last October. Peace and positivity radiate from him. His wisdom inspires us to be better caretakers of the world and better caretakers of each other” said Khoslar. 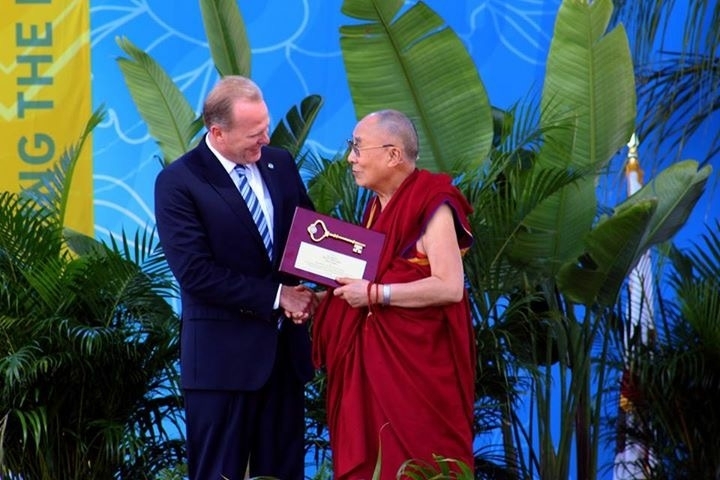 Mayor Kevin Faulconer called the Dalai "an inspiration to people across the globe." 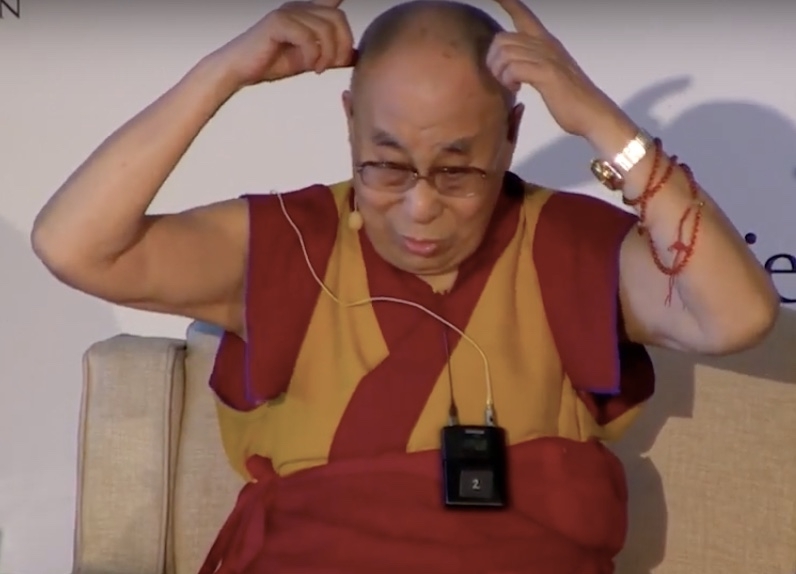 During a 40 minute press conference prior to his public address on Friday, the Dalai delivered a statement and answered questions ranging from climate change, mental health, education to spirituality and well being. “I have always considered the US a leader in climate change..I am sad now” he said referring to the departure from the Paris Climate Agreement. 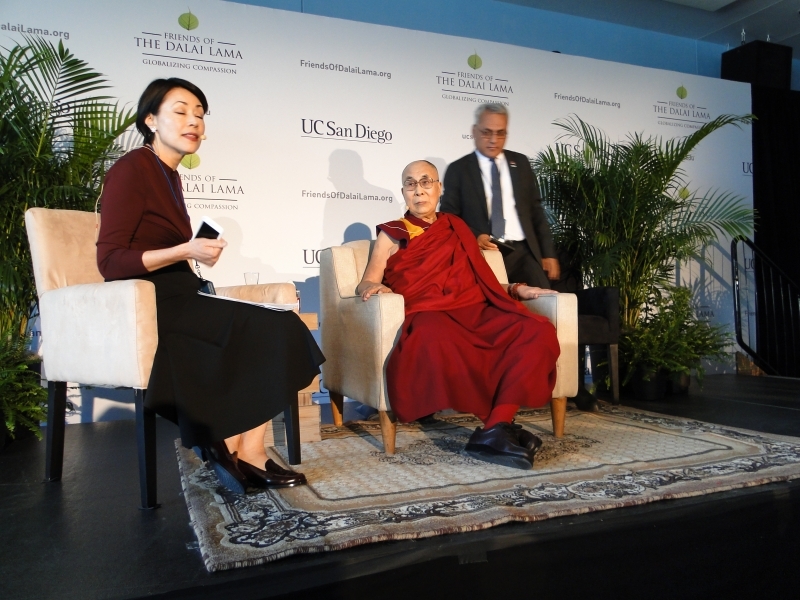 “We, we,” creates the concept of “they, they," and that is what leads to distance and violence in the world” he emphasized, calling on educational institutions to teach more compassion regardless of their religious beliefs. 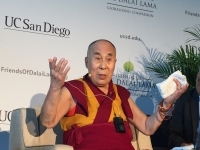 China and the Dalai Lama have a politically charged relationship reflected by the push back from UCSD’s international students. Some of his critics at this event were protesters who picketed the event in the Free Speech Zone out of sight of the RIMAC field. They were Tibetan Buddhists who worship the deity Dorje Shugden and sustained that the Dalai Lama’s followers have burned Shugden vandalized statues that are sacred to this sect. The protesters were refuted by Dalai supporters holding signs, “Long Live His Holiness the 14th Dalai Lama of Tibet,” and a message: “Love is the Answer”. NBC reporter Ann Curry read previously submitted questions, one on how to best deal with America’s increased divisiveness. 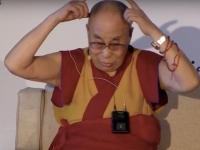 “We should use our intelligence,” said the Dalai, “hard words come from narrow-mindedness. If you want to be a lonely person, use harsh words. Any sensible human being doesn’t want that.” Adding: “If we give compassion to all individuals, today's enemy, next time becomes a best friend."